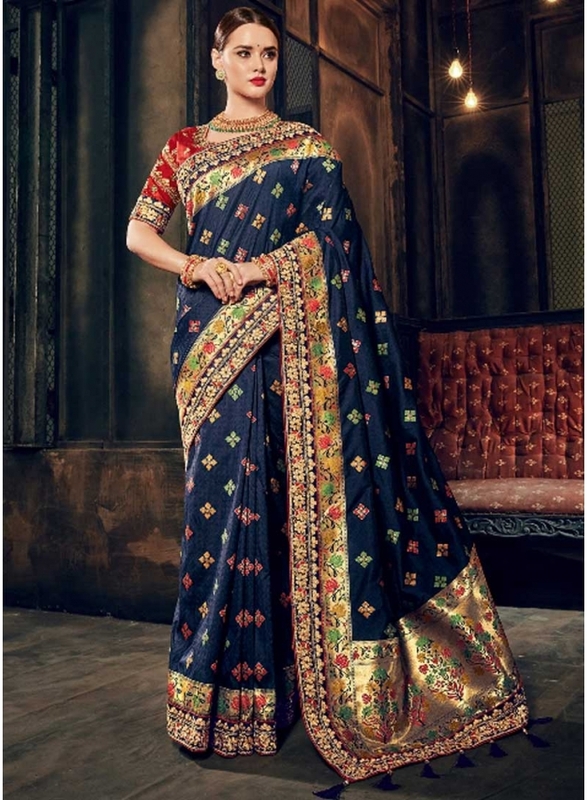 Navy Blue Embroidery Work N Printed Designer Wedding Saree. This Saree Are Amazing Sequences Embroidery Work And Flower Printed Saree N Pallu Printed With Same Colour Embroidery Work And Stone Work Designer Saree. Saree Come With Red Colour Embroidery Work Designer Bolus. Navy Blue Red Colour embroidery Work And Printed Designer Wedding Wear Saree.